Welcome to another version of Pumpkin Fine Cars and Exotics "car of the day." 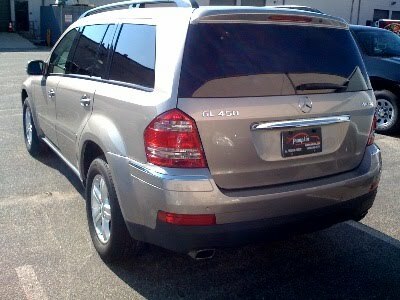 Today we are featuring a 2007 Mercedes Benz GL450. Its an 8 cylinder, 4.6 liter engine fully equipped with power and heated seats with memory, alloy wheels, DVD entertainment system, Navigation, Xenon headlights, 3rd row 8 passenger seating with power folding seats, 6 disc CD changer, privacy glass, auto-dim rear view mirror, power mirrors, auto trunk lift, and 2 power moon roofs. This car is still under factory warranty until until September 2010, or 50K miles which ever comes first. Its Pewter Gray exterior on tan leather makes a great color combination. The car has been fully serviced with a professional detail, making it Pumpkin Certified! Feel free to stop by our unique indoor showroom and take the Mercedes for a test drive. Please check out the rest of our inventory on our website, http://www.pumpkincars.com/. Welcome to another version of Pumpkin Fine Cars & Exotics blog. In today's "car of the day" we feature a 2007 Mercedes Benz S550 that we just added to our inventory. It is a beautiful Iridium Silver Metallic exterior on soft black leather interior. This barely broken-in, pre-owned vehicle with its 8 cylinder, 5.5 liter engine comes fully equipped with a Navigation System, heated and active ventilated power seats with memory positioning, Xenon headlights, auto-dim rear view mirrors, alloy wheels, electronic trunk closer, power rear sunshade, a Harmon Kardon Stereo system with a 6-disc CD changer, satellite radio and lots more. This Mercedes is under a full Factory Warranty until July 30 2010 or 50,000 miles (which ever comes first). For more information or to schedule a test drive, call us at (609)646-7676 or visit us on the web at http://www.pumpkincars.com/. Of course you can check out the rest of our pristine pre-owned inventory by clicking here! All of our pre-owned vehicles are Pumpkin Certified, financing is available and we have warranties and service plans to fit any one's needs and budgets. You can even submit a preliminary credit application online, so don't hesitate! Give us a call, stop by our website or come on in and see what we're all about...you won't be disappointed! We hope everyone had a great holiday, and enjoys the rest of the four day weekend. Today is Black Friday so all you die hard shoppers are welcome to come visit us at the showroom and check out our inventory. Purchasing a car would make a terrific gift and is a great way to show someone how much you truly care about them. Here at Pumpkin Fine Cars we have vehicles to fit all budgets. Feel free to check out our like new inventory online at our website http://www.pumpkincars.com/. Dont forget we are here during the holiday at our regular hours, Monday thru Friday 930-630, and Saturday 930 to 4. Today's Car Of The Day.......a 2004 Mercedes Benz C320 4matic AWD with 75,277 original miles. This pristine pre-owned Benz is silver with charcoal leather interior. It 's fully loaded with all the luxury features one can expect from a Mercedes Benz, power heated seats with memory positioning, power windows, power locks, power steering and power mirrors. It also has auto-dim rear view mirrors, alloy wheels, power rear sunshade, cruise control, tilt steering wheel and a moon roof. The standard AM/FM Stereo comes with a 6-disc CD Changer and the dash and steering wheel are beautifully accented with wood trimming. The drive is smooth and comfortable and the vehicle is as roomy as they come. As with all of Pumpkin's pre-owned vehicles, this C320 has been fully serviced, Pumpkin Certified and professionally detailed. We have financing available for those who qualify and we have warranties packaged separately to fit the needs and budgets of everyone. If your interested in taking this vehicle for a test drive you can contact us at (609)646-7676 or stop by our showroom in Egg Harbor Twp, NJ just minutes outside of Atlantic City, NJ. For detailed driving directions or to see more photos of this pre-owned car and other pristine vehicles, log onto our website at http://www.pumpkincars.com/. Everyone here at Pumpkin Fine Cars & Exotics and all of our loyal Pumpkin famil y and friends would like to wish Franck Freon a very safe and speedy recovery from his knee operation. After a long and successful 18-year career of professional race car driving, his knee is in need of some tender love and care. So tomorrow is the big day and although it is a minor out-patient procedure, we expect him on his feet in no time! We want to wish Gina, Franck's wife, good luck as well, as she will definitely have her hands full! Dont forget we are open for regular business hours for the holiday weekeend. For anyone interested in checking out some of our pristine vehicles or if you had plans to take one for a spin, don't worry... the showroom will be in full operation during our r egular showroom hours of Monday thru Friday, 10am - 6:30pm, and on Saturday, 10am - 3:30pm. The regular Pumpkin crew will be in full effect and selling cars in absence of our leader. 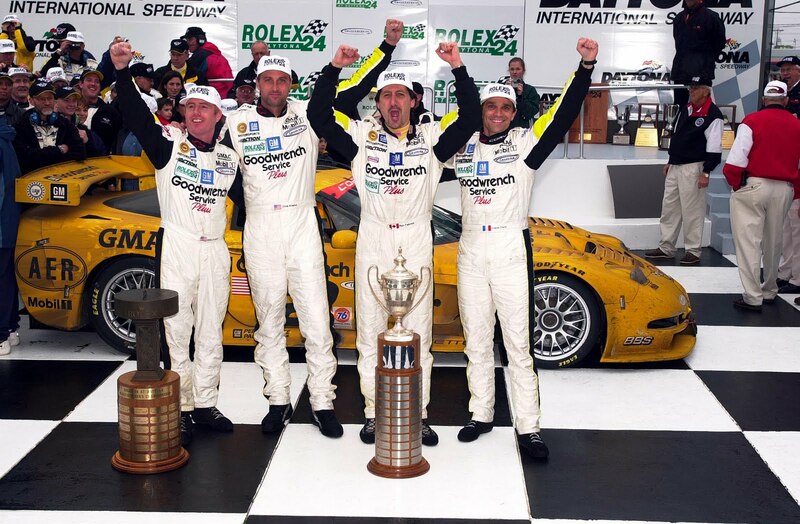 To learn more about Franck Freon's racing career and how he went from Indy and Endurance Cars to Pumpkin Cars, log onto our website at http://www.pumpkincars.com/. Pumpkin's Car Of The Day is a 2004 Cadillac Deville with 33,300 certified miles. This pre-owned beauty is listed at $11,995. Champagne Exterior with a black vinyl top on tan leather interior, this Caddy is immaculate. 8 cylinder, 4.6 liter engine, it comes fully loaded with power/heated/cooled seats that have lumbar support and memory positioning, power/heated rear seats, power windows and power locks. This Cadillac also features an AM/FM Stereo with cassette, CD player and a CD Changer. Among other great features are a tri-zone climate control, ultrasonic rear parking assistance, power tilt and telescopic steering wheel, moon roof, chrome alloy wheels, OnStar and much more! If you're looking for a smooth classy ride with all the five-star features you can think of and want to save yourself about $40k off the sticker price... then this beauty is right up your alley! This pre-owned car has been Pumpkin Certified with a professional detail and fully serviced. We have financing available, submit a preliminary credit application by clicking here. We also have warranties packaged separately and customized to fit your needs and your budget. If your interested in a test drive or need directions to our exclusive indoor showroom, call us at (609)646-7676 or stop by our website for detailed driving directions. 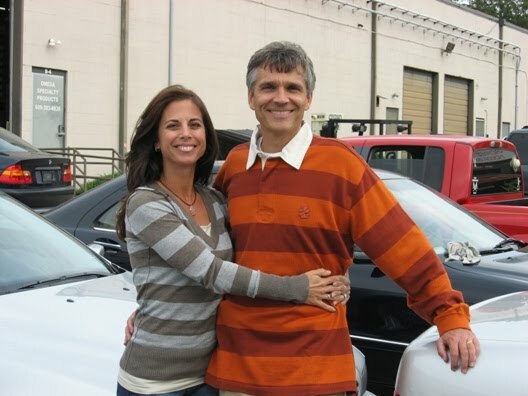 As always, feel free to check out the rest of our pristine vehicles on our website, http://www.pumpkincars.com/. Thanks again for visiting our blog! We hope to see you soon! In todays version of Pumpkin Cars "car of the day" we feature a 2007 Honda Accord. Driven 36,000 certified miles. Silver with black leather, this Accord comes fully loaded with power/heated seats, moonroof, CD changer, XM satellite radio, power windows, power locks, and much more! This Accord has been Pumpkin Certified, with a full service and a professional detail. Come in for a test drive today in our no pressure, no hassle environment. Feel free to check out the rest of our pristine inventory on our website http://www.pumpkincars.com/. Today we have something new for our "Car of the Day"....... We just got in a luxurious pre-owned 2005 Acura TL with a 3.2 liter, V6 engine. The graphite exterior is complimented nicely by Tan leather interior. The '05 model is almost identical to the '04 model with just a couple new additions. The seat belt buckles are now mounted to the seat frame and there is a sensor in the front passenger seat which alerts the driver when an occupant is out of a safe position for the side airbag. Other than these two minor adjustments, the 3.2 TL possesses the same luxury features such as power heated seats with memory positioning, power windows, power locks and power mirrors, AM/FM Stereo with an in-dash 6-disc CD Changer, auto-dim rear view mirrors and a moon roof. The sporty feel and drive remains the same with 17" alloy wheels and X enon headlights. This pre-owned TL currently has 34,871 miles on it and is a one-owner vehicle. As with all of our pre-owned cars, this vehicle has been Pumpkin Certified, fully serviced, professionally detailed and ready for a new home! If you are interested in scheduling a test drive or would like more information you can stop by our showroom located in Egg Harbor Twp, just outside Atlantic City or you can visit our website at http://www.pumpkincars.com/ for detailed driving directions. As always, drive safe and happy motoring! In todays version of our "car of the day" Pumpkin Fine Cars is offering this 2004 BMW 645i coupe for sale. 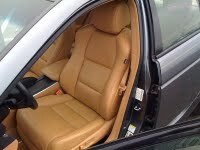 Mineral Silver exterior on tan leather interior. This is Pumpkin's first 645i we have ever had in stock. Driven 58,500 certified miles, it comes fully equipped with the premium winter package, heated/power seats (with memory), power windows, sunroof, 6 disc CD changer, heated steering wheel, 18 inch alloy wheels, navigation, Xenon headlights, and auto dim. 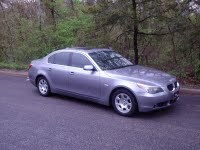 The Beamer also includes a BMW service program until March 2010. We have fully serviced the car, it has been fully detailed and is Pumpkin certified. This is the first year for the model. Its nice to see BMW back in the market with the big coupe. They discontinued the 850ci in 1997, seven years later they created the 6 series. The combination of its unique style and powerful engine makes it second to none. Feel free to check out the rest of our pristine inventory on our website, http://www.pumpkincars.com/. The idea behind the design was to create a vehicle small enough to park nose in and maneuver easily. Swiss Watch company teamed up with Daimler Mercedes Benz and created an affordable innovative car for young people. With an engine that gets up to 40mpg, and luxury features that are common in your typical Mercedes Benz, it has the perfect balance between responsiveness and economic responsibility. 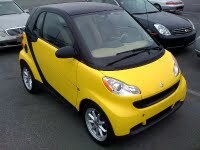 This pre-owned Smart Car has a yellow exterior with beige cloth interior. Features that include an AM/FM Stereo with a 6-disc CD Changer, power windows and power locks, optional fog lights and alloy wheels. This Fortwo Passion is also under Factory Warranty and currently has only 7,359 miles. As with all of Pumpkin's Fine Cars & Exotics it has been fully detailed, Pumpkin Certified and ready for a test drive! If your interested in learning more about Smart Cars, you can visit the Smart website by clicking here. For more photos & more information on this pre-owned Smart Car or any of our other pre-owned vehicles, visit our website at http://www.pumpkincars.com/. You will find our complete inventory list as well as detailed driving directions to our unique indoor showroom in Egg Harbor Twp, NJ, just minutes outside Atlantic City, NJ. If you would like to schedule a test drive, contact us at our showroom (609)646-7676 or visit our website at http://www.pumpkincars.com/. Thank you again for visiting our blog and happy motoring! We want to wish all of the veterans out there a very special and happy Veterans Day 2009! We want to take this opportunity to remember and recognize the many brave soldiers who risked their lives to see that France and America became and remain free nations. To show our support, we have included in this blog a few photos that were donated by Mark Kulkowitz, Owner of The Mad Batter restaurant located in Cape May, New Jersey. His father was one of the many brave soldiers who stormed the beaches of Normandy, France in 1944 during World War II. This fight was the beginning of the battle that defeated the Germans as they had invaded France and the rest of Europe for control of the land. The Americans joined the fight alongside of France after Pearl Harbor was bombed by Japan. This long and corageous battle brought back the freedom and independance of France and other Europeans countries. We salute all the veterans who have lived and died fighting for this country and all those in favor of freedom as we know it! We are proud to be a French-American business and without this important battle we may not be here today! From all of us here at Pumpkin Fine Cars & Exotics! Pumpkin Fine Cars has a vehicle to fit everyones budget. Regardless of the price, our quality remains the same. 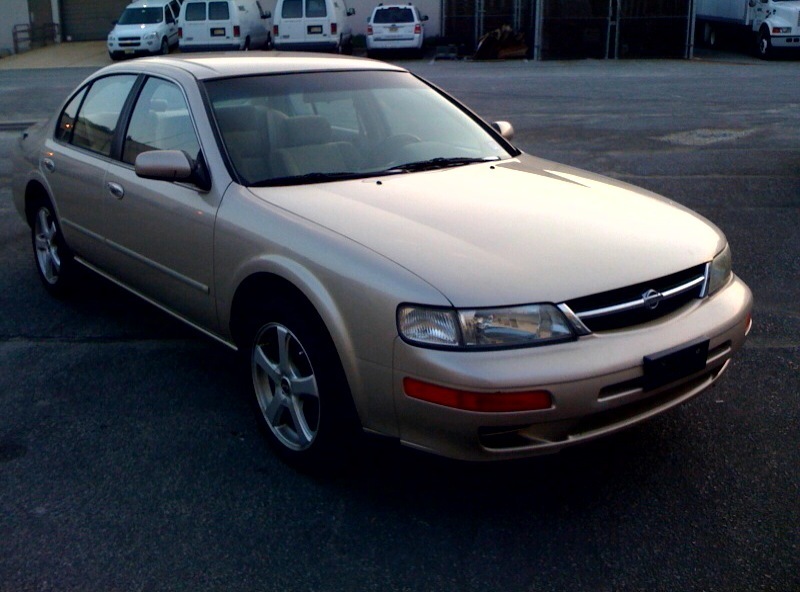 Here is a 1998 Nissan Maxima. Driven 96,730 original miles. It comes equipped with power driver seat, power windows, power locks, AM/FM radio with CD player, automatic transmisison, 17 inch alloy wheels, cruise control, and tilt wheel. This Maxima has been fully serviced, fully detailed, and is Pumpkin Certified. 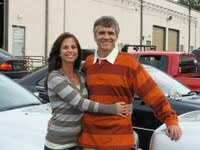 Check out our inventory to see other great deals we have in stock on our website, http://www.pumpkincars.com/. In todays version of our "car of the day" Pumpkin Cars is presenting this magnificent 2006 Lexus GS300. Driven 31,688 certified miles since new. Onyx Black exterior on soft black leather interior. This GS300 is still under factory warranty until February 2010. The options are endless in the car. Power, heated/cool seats with memory, power windows, power locks, in dash CD changer, moonroof, wood grain trim, all wheel drive. Upgraded 18 inch wheels, touch screen, Ba ckup camera, Navigation, Xenon headlights, keyless go (push button start), and parking assistance. Its more like a space ship than a car. Here at Pumpkin we fully service and fully detail each car, making them Pumpkin Certified. Feel free to check out the rest of our pristine inventory on our website http://www.pumpkincars.com/. Welcome to Pumpkin Fine Cars & Exotics' "Car Of The Day." Today we are featuring a 2006 Mercedes Benz ML350, 4-Door SUV with only 34,500 miles. Pewter Gray Metallic exterior on a soft, tan leather interior, this Benz is better than new and still under Mercedes Benz Factory Warranty until March 2010 or 50,000 miles, whichever comes first. This pre-owned Mercedes Benz comes fully loaded with power/heated seats, power locks, power windows, power mirrors and a moon roof. It is also equipped with an AM/FM Stereo and a 6-disc CD Changer, privacy glass windows, 16" alloy wheels, cruise control and tilt steering wheel. Like every pre-owned vehicle at Pumpkin Fine Cars & Exotics, this pre-owned 2006 ML350 has been fully serviced, Pumpkin Certified and completed with a full, professional detail. 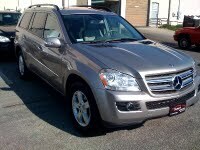 We strive for your business and want to help you put this ML350 in your driveway. We have financing available and several different service plans to fit your needs and your budget. If you have the desire to own and drive a Pumpkin Certified, Pre-Owned Pristine vehicle than we have the desire to get you into one!!!! If your looking for something a little smaller or maybe something a little more exotic, than check out the rest of our pristine inventory on our website at http://www.pumpkincars.com/. If you have any questions or would like to schedule a test-drive, stop on by our showroom (click here for personalized driving directions) or call us at (609)646-7676. As always, Buckle Up, Drive Safe and Happy Motoring from all of us here at Pumpkin Fine Cars & Exotics! Here is another outstanding vehicle from Pumpkin Cars! A 2006 Mercedes Benz E350 with 34,984 miles. Brilliant Silver Metallic on soft Gray Leather, this Benz is second to none. The car comes fully equipped with power and heated seats with memory, power windows, power locks, power trunk, moonroof, 6 disc CD changer, auto-dim headlights, climate control, and much more! Like every car at Pumpkin this vehicle has been fully serivced, fully detailed, Pumpkin Certified and ready to be delivered. Feel free to check out the rest of our pristine inventory at our website http://www.pumpkincars.com/.